<Rosa von Praunheim’s “Jeder Idiot hat eine Oma, nur ich nicht”: The Revival of Cabaret Operetta? 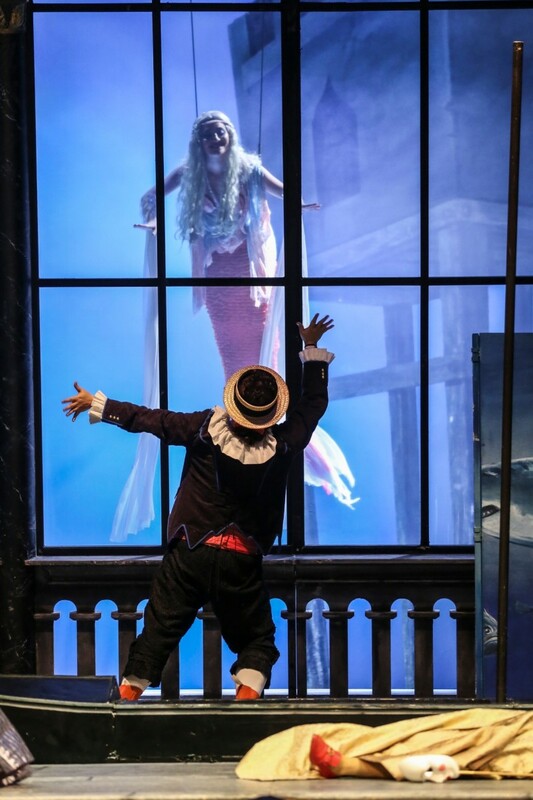 Musically, Vienna Volksoper’s 2013 production of Strauss’ Eine Nacht in Venedig has much to commend it: firstly the spirited conducting of Thomas Roesner, whose swift speeds occasionally caused consternation on stage, but who has the knack of giving waltzes, of which this operetta abounds, a true Viennese lilt, especially as played by the Volksoper orchestra. 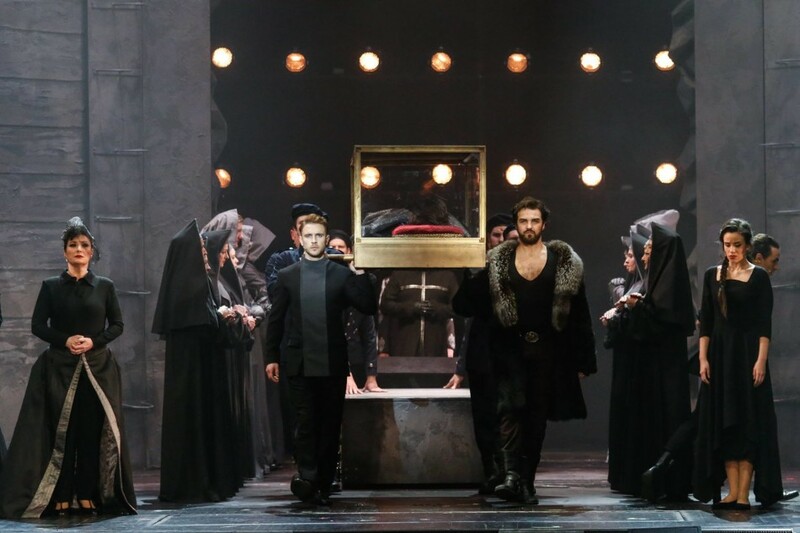 Secondly, the superb singing of Vincent Schirmacher in the role of Guido, Count of Urbino. Whenever he is onstage he lifts the performance, not only by his magnificent tenor, but also because of his undoubted charisma: this man knows he is a Count and so do we. 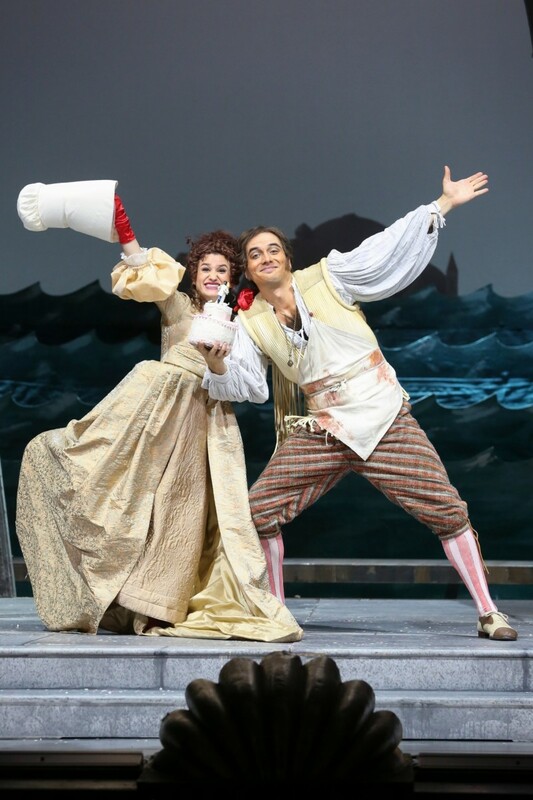 Other major roles are also well sung, especially Mara Mastalir as Annina the fishergirl and Juliette Khalil (Ciboletta) who makes the most of every comic opportunity. 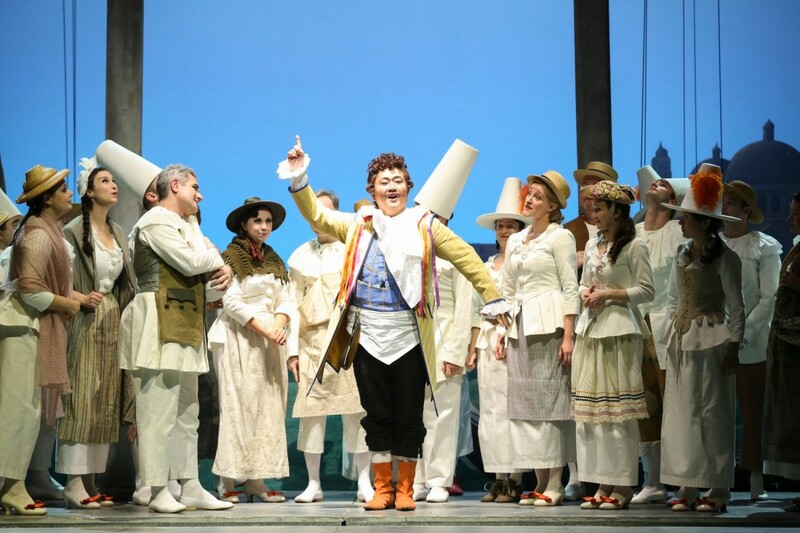 The role of Caramello is intelligently sung by JunHo You, even if he, like Roman Martin as Pappacoda, the pasta seller, does not quite have the vocal heft to carry over the orchestra to the rear of the theatre. Some of the secondary roles also needed to be given to stronger singers. Direction, set and costume design was by Hinrich Horstkotte, clearly more interested in design than direction! Each of the three sets was lavish, taking up all of the rear half of the stage and allowing no acting in that area. 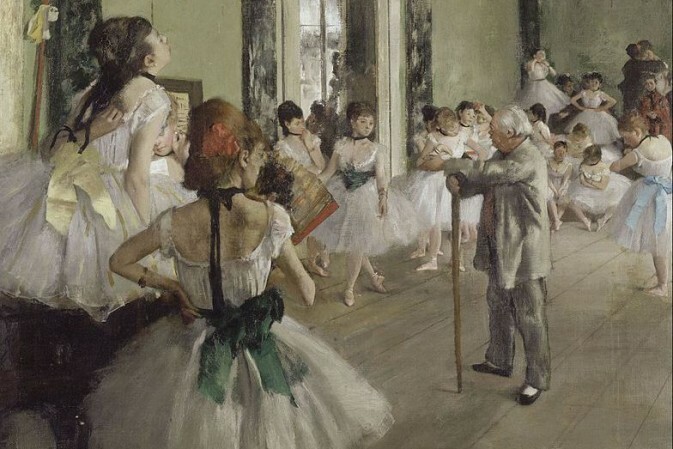 The Grand Canal of the first act included moving ground rows whose movement quickly became distracting, especially as they were moving from side to side during the entire act! At intervals swimmers, sharks and submarines would appear – usually at a most inappropriate moment in the action, taking the focus away from what was going on downstage. 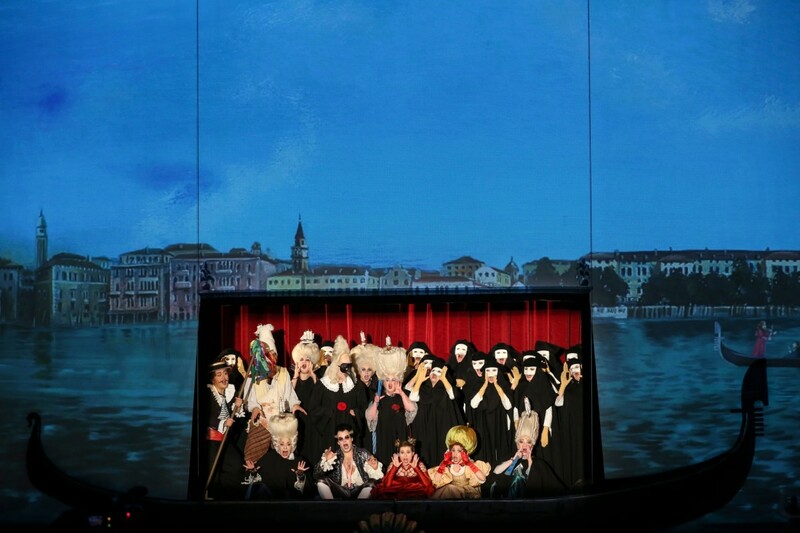 What was illogical was that, in spite of the wide Grand Canal flowing over much of the stage, the Count arrived in a gondola pushed in from the wings on dry land! Surely he should have arrived along the Grand Canal – otherwise why have it? Act Two was equally cluttered, the rear half of the stage being an underwater grotto with sea creatures and divers. Likewise Act Three, which returned us to a rather inebriated looking Venice, where by this time, the Canal had mercifully stopped flowing! The result of these grand set designs was that there was little or no room for the chorus: in fact it was quite obvious that some members of that body never found room to get onstage: when they did, no effort had been made to position them or use them in any other way than to sing. All dialogue scenes were pushed to the front and lacked movement because there was no room! The singers had clearly been given free reign with their dialogue which, frankly, was pedestrian, totally lacking pace and often being appallingly slow in starting after a musical number. Scenes rarely built to any climax, and even more rarely built into the next song! The weakest moment could easily have been the strongest: this was when, at the end of Act Two, a front cloth depicting Venice (not quite a Canaletto!) was lowered to coincide with a gondola downstage centre. This would have worked had just a few members of the company been in the gondola, but as the chorus were singing, and could clearly not all inhabit the boat, their vocalizing was suddenly muffled by the descent of the cloth in front of them! The performance I saw was the 28th since the December 2013 premiere, and leads one to wonder if the Volksoper re-rehearses its shows with a staff director when they are revived or when there are cast changes or whether they just ‘happen,’ which is what it looks like. Surely the production cannot have been as sloppy as this four years ago? This must be the only production of a Strauss operetta where no one dances to the plethora of waltzes: there is just no room! For the same reason there is no place for the Staatsballet either! Yet This operetta contains more ‘danceable’ numbers than either Der Zigeunerbaron or Die Fledermaus! In spite of what I have written, I did enjoy Eine Nacht in Venedig: the music is some of Strauss’ finest, but it is depressing to see the results of inept directors! I rarely seem to see a production of a Strauss operetta that works: are they really that difficult to stage, or are they especially susceptible to directors who think that they have to ‘do’ something because the shows are not good enough to stand on their own two feet? Another fine and honest review from Mr.Groves. Thank you.